Paris, 8 November 2017 - The Ordinary and Extraordinary Shareholders’ Meeting of Eutelsat Communications (Euronext Paris: ETL) today approved the appointment of four new directors: Dominique D'Hinnin, Paul-François Fournier, Esther Gaide and Didier Leroy. Their mandates will be for a term of four years up to the date of the Ordinary General Meeting to approve the financial statements for the Financial Year ending 30 June 2021. These appointments follow the non-renewal of the mandate of Bertrand Mabille and the resignation of Miriem Bensalah Chaqroun, as well as that of Michel de Rosen, whose term as Chairman of the Board of Directors ended today. Dominique D'Hinnin spent much of his career at the Lagardère Group where he was Director of Internal Audit before being appointed Financial Director of Hachette Livre, Executive Vice President of Grolier Inc., Chief Financial Officer of Lagardère and finally co-manager until 2016. Until today’s Shareholders' Meeting, he represented the Fonds Stratégique de Participations (FSP) on Eutelsat's Board of Directors. 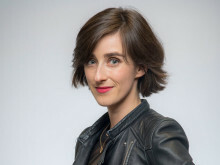 Agnès Audier has replaced Dominique D'Hinnin as the representative of the Fonds Stratégique de Participations. Esther Gaide is Chief Financial Officer of the Technicolor Group. She was previously Deputy Chief Financial Officer and HR Director of Havas Group for five years, after holding various financial positions within the Bolloré Group. Paul-François Fournier is currently Director of Innovation and Member of the Executive Committee of the Banque Publique d’Investissement(Bpifrance) after having spent nearly 20 years at Orange where he held various positions, first in the Enterprise segment, subsequently at Wanadoo and finally as Head of the Orange Technocentre. Didier Leroy is a recognised expert in the automotive industry. He began his career at Renault where he held various positions before joining Toyota, where he is now Executive Vice President and a member of the Board of Directors of Toyota Motor Corporation. At the end of the General Meeting, the new Board met and appointed Dominique d'Hinnin as Chairman. Speaking as the new Chairman, Dominique d'Hinnin said: "I am honoured to become Chairman of the Board of Eutelsat and to succeed Michel de Rosen in this role. 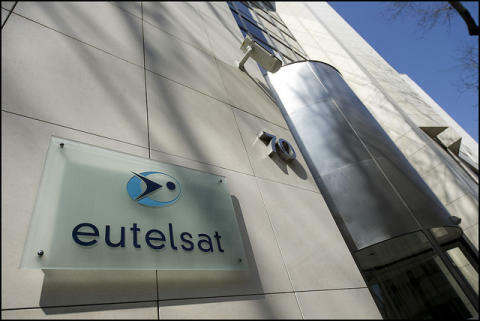 Eutelsat has become a global player in the satellite industry under his Chairmanship. He has impressed his mark on the Group and I thank him warmly for his accomplishments on behalf of all Board members. I am also delighted to continue my mission alongside Rodolphe Belmer and the teams at Eutelsat who are fully committed to the Group’s development and to achieving the objectives set out in the strategic plan." The Combined General Meeting also approved all the other resolutions, including the approval of the accounts, the dividend for the 2016-17 Financial Year, (€1.21 per share, paid on 23 November 2017), executive compensation and financial resolutions.